I am entering this card to the very first challenge on a new blog called A Blog Named Hero. The first challenge is to use a favorite Hero Art product. 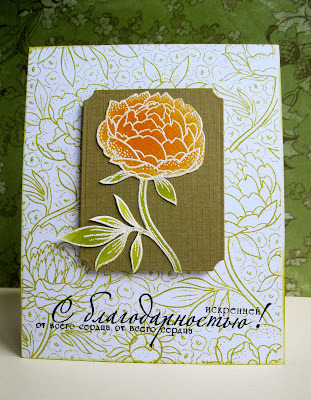 Well I have a new favorite stamp from Hero Arts - Large Flower Background. It works beautifully for the focal point as well as for the background! 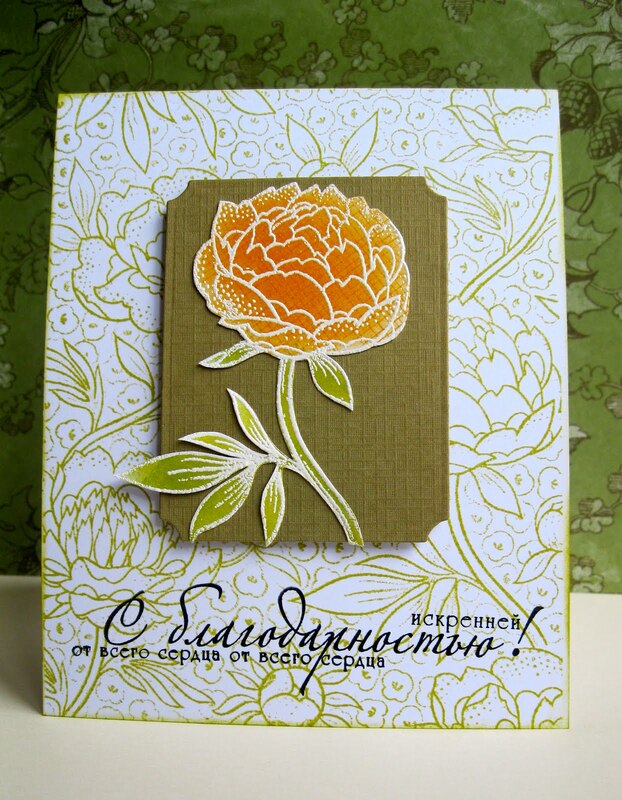 Oh Maria, these are gorgeous - beautiful design - I wish you all the best with the challenge this month!! Thank you, dear Jacqueline! I have taken the word verification off. I did not know, thank you for letting me know. I plan to add some explanation to the cards, but I had little time to post the pictures. I am immensely blessed through your friendship! Great job making a background stamp a feature image. I really like the colors you used here and your card looks great!